TLC has announced Chantel and Pedro will also star on a new spinoff called The Family Chantel, which will air Monday nights beginning in July. The Family Chantel will debut a couple of months after 90 Day Fiance: Happily Ever After? 's upcoming season premieres on April 28. The Family Chantel will star Pedro, Chantel and their lively in-laws, as drama always seems to be stirring within this large group who rarely see eye to eye. Chantel's parents Karen and Thomas and siblings River and Winter will be featured, as well as Pedro's mother Lidia and sister Nicole. "This is an awesome moment for TLC, as we create a family show based on one of our most popular 90 Day couples, and on a whole new night," TLC executive Howard Lee said in a statement. "Our fans can't get enough of Pedro, Chantel and their larger-than-life families. For a brand known as the destination for love, relationships and family shows, The Family Chantel hits the bullseye." Chantel and Pedro initially appeared on Season 4 of 90 Day Fiance. The married couple met online over four years ago when Chantel was looking for a Spanish teacher and Pedro hoped to learn some English in return. But what began as a mutually-beneficial relationship for educational purposes quickly turned into a mutual crush. Chantel first introduced Pedro to her family under the false pretense of him coming to America on a student visa, and they've since weathered major marital ups and downs involving outspoken and stubborn family members to their own trust issues. "Viewers will follow this unique modern family as they try to move past their differences and come together as an extended family, but as Chantel's parents Karen and Thomas try to protect their brood, will they push their children too far?" TLC teases. 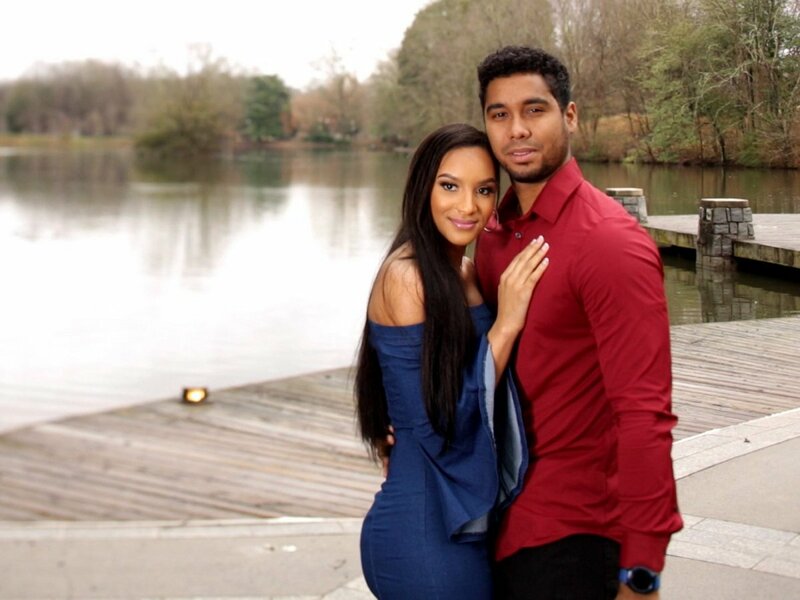 After their first stint on 90 Day Fiance, Chantel and Pedro also appeared on Season 3 of 90 Day Fiance: Happily Ever After? last summer. Viewers who can't wait for the July premiere of The Family Chantel can also watch Pedro & Chantel: The Full Story, a special that will air Monday, April 15 at 8 ET/PT on TLC. The special will take a look back at some of the pair's unforgettable moments from the 90 Day Fiance franchise. Due to the success of 90 Day Fiance, the original show has been renewed for a seventh season. 90 Day Fiance: Before the 90 Days will also be returning for a third season. In addition, TLC will also debut 90 Day Fiance: The Other Way later this summer. The new series will chronicle a collection of Americans as they make the ultimate sacrifice and move across the globe for the partners they love. The Family Chantel is being produced by Sharp Entertainment, the same production company that produces TLC's other 90 Day Fiance programs.